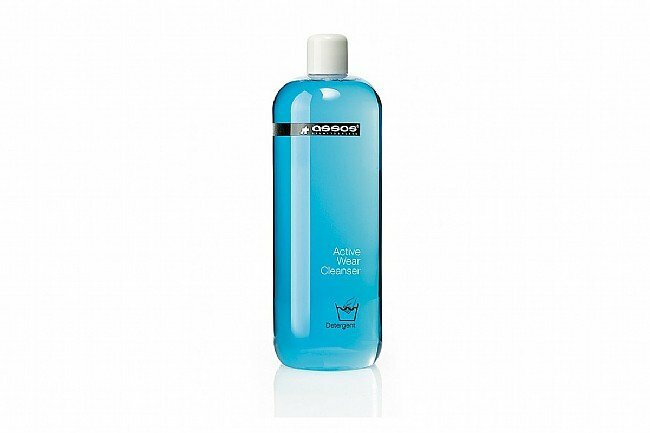 My husband loves this cleanser for his biking clothes. Its gentle but effective and leaves the clothes smelling great. Weve been using it for years and highly recommend it. Seems to work, but how do you really know. Kit is still black and truly does not smell. Even works on non-Assos kit. So far (2 bottles), no issues with bibs etc wearing funny. A little pricey, but keeps your clothes brilliant and smelling great for years to come. The only cleaner I use. I used the Assos cleaner about two years ago and loved it. I wasn't thrilled about the price though so I tried several other cleaners. But alas, I've come back to the best. Tried many other products this is the one! Generally a capful for multiple several kits. Tried many other products this is the one! Generally a capful for multiple jerseys, shorts and running gear. My better half has started to use for her yoga gear also. Great product keeps my kits clean and fresh. The only product I will use to clean my (expensive!!) workout gear!! excellent product & gentle on all cycling clothes. Smells good too. I won a bottle in a post-race raffle last fall and use it on all my running & cycling clothes. It's the best I've used for removing odors but I'm not sure how well it would work for stain removal. It really shines in hand washing (specifically winter gloves) - odors are gone and the cleanser fragrance is mild. I'd definitely buy a replacement when it runs out, especially since VIP points would cover the cost of 1-2 bottles per year. I have used this product for years and will in the future. It seems to help with keeping you kits fresh. It just makes sense to use Assos's own cleanser to safely clean and maintain your expensive investment in their clothing. This is not a heavy duty cleanser. It will generally not remove heavy stains. However, it otherwise does a good job of cleaning your kit, and leaving it smelling fresh. I have been using it for over five years on all of my cycling clothing (even that from other manufacturers), and have never noticed any problems. It only takes about one or two capfuls to do a small wash load, which is typically one or two complete kits. Assos cleanser is expensive, but then so is Assos gear in general. You can feel comfortable knowing that you are using a product that will not damage your expensive Assos clothing. I thought I would try the product because I wanted to be sure that I took proper care of my expensive Assos bibs. My biggest complaint is that the bottle is rather small and it does not go very far, especially if you are using a top loading wash machine. It does leave a pleasant scent. In my opinion you are dollars ahead just to use a store brand like Woolite. Its goes further and is safe for all fabrics. As far as the anti-bacterial claim for the Assos cleanser, my wife who is an RN claims all soaps are anti-bacterial to one extent or another. So its probably a dubious claim.